Escape To Your One Of A Kind Belize All Inclusive Resort Paradise! Yes! Imagine arriving on this enchanting, private Belize all inclusive resort destination, which is splendidly situated on a 16 acre Caribbean island. Upon arriving, you will be welcomed by your new “family” with a delicious mosquito bite cocktail and a soothing wet cloth. Soon after, you’ll discover the dynamic, attentive and warm local staff dedicated to making your stay an unforgettable experience. Coco Plum Island easily offers you a true Belizean experience as it is one of the very few locally owned and managed resorts. All in all, Coco Plum not only offers the best views, food, and adventures, but they offer you a home away from home, and a second family. We want to thank everyone at the Resort for everything to make our first trip to Belize the best trip of our lives. As they say, “if you don’t leave, you can’t come back” – well, we will see you all again next year!!! – TripAdvisor Review By: Taylor S.
If you are a first time visitor to Coco Plum, you are the “new.” You will arrive at the island after a short boat ride, to be greeted by the staff with a smile and a welcome drink. Almost without exception; however, there will be other guests on the boat who have been there before. They are the “old.” They will be greeted by the staff with that same welcoming smile and drink but it will be accompanied by a huge bear hug and the words, “Welcome Back!” All too soon, you will find it is time to leave the island as your vacation is over. You will find there is no longer a “new” and an “old.” Everyone is now family. Hugs are exchanged and tears are shed as you say goodbye. You leave with wonderful memories and a sadness to leave but a firm resolution to return as soon as possible and become one of the “old” members of the Coco Plum Family. Coco Plum Island welcomes destination weddings, engagements, honeymoons, anniversaries, birthdays, family reunions – you name it. Rest assured, it’s the ideal private island beach getaway geared to provide guests with a perfect mix of fun, adventure and a unique experience to be remembered for years to come. 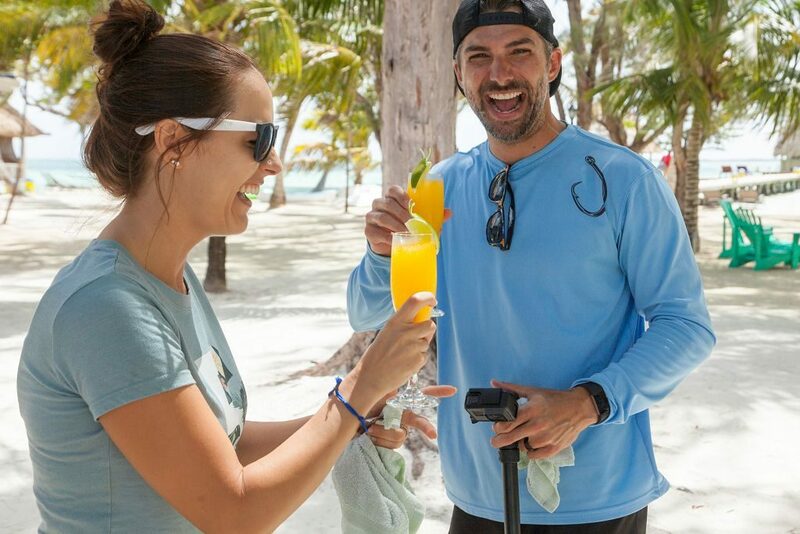 Whether that be an adults only beach vacation, an adventurous experience, a little time to enjoy delicious food and drink with your new island family and friends or a chance to unplug, unwind and reconnect, you can be as relaxed or as adventurous as you wish. Coco Plum is a place for romance, for new friendships, for great food, and for indescribable natural beauty. The facilities and staff are simply top notch. In short, I cannot recommend Coco Plum highly enough. Truly the best of its kind. – TripAdvisor Review By: Sam C.
Yup, there’s an array of carefully curated Belize all inclusive packages to choose from which include accommodations, meals, snack, local alcoholic beverages and boat transfers to/from the mainland. Several packages even include both inland and island adventure tours. There is no time for worrying here, we have thought of just about everything to make your Belize vacation one to remember! Unwind in spacious accommodations and take in panoramic views of the hypnotizing seascape overlooking the beauty of blue Caribbean waters. Set just steps away from the Caribbean Sea, each of the 18 standalone cabanas are situated in a staggered pattern along the beach to enhance privacy. 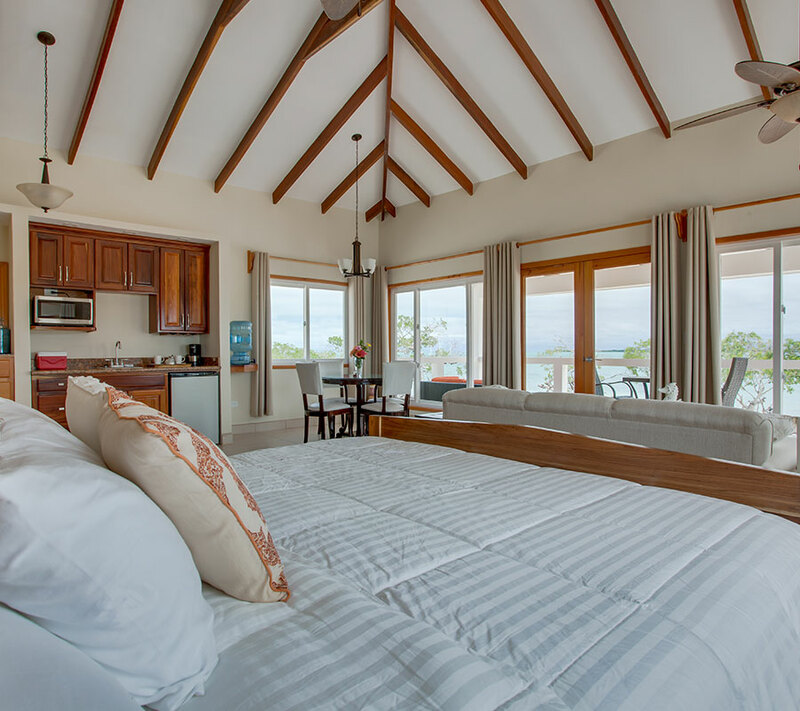 Another captivating feature worth specific mention is the island’s only two story, three bedroom/three bathroom overwater villa with its own private entrance and sunbathing deck. 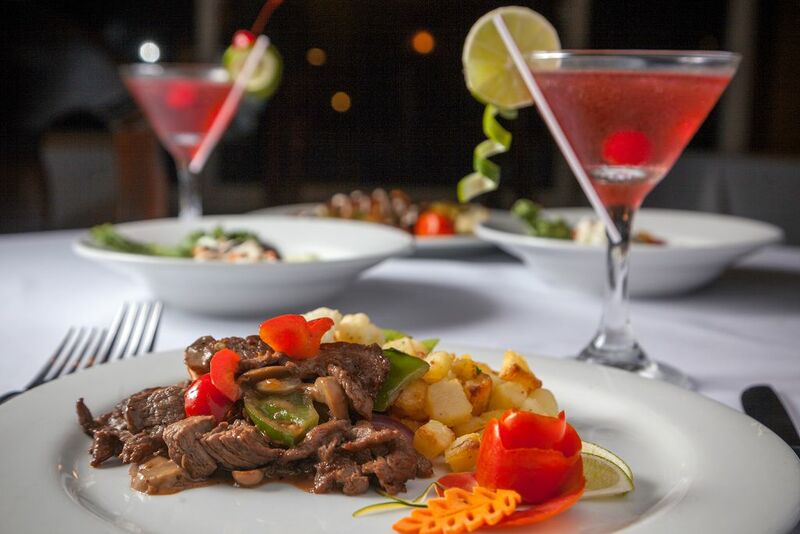 Reservations are not required at your spectacular ocean view dining area, the legendary Coco Palms Restaurant. Here you will savor mouthwatering dishes from our very own Belizean chef extraordinaire, Mrs. Jude. Forget your typical all inclusive run-of-the-mill buffet and long lines – we’re talking flavorful cuisine and Caribbean island infusion meals including breakfast, lunch, dinner and snacks. Don’t be shy if you can’t get enough, just ask your server for another helping. The food is almost entirely locally sourced and organic and that combined with the brilliant chef makes for meals you will remember. There were couples going fishing while we were there and every night they came around at dinner sharing their catch. I am a vegetarian and the chef happily accommodated me. Between breakfast, lunch, bar snacks and dinner, I was so well fed and satisfied. – TripAdvisor Review By: Sarah J. Enjoy unlimited local mixed drinks, alcohol and beers with incredibly attentive and charming service. Behind all those perfectly shaken drinks and imaginative concoctions are the extraordinary bartenders. They truly know that bartending is not limited to just the arty flash of techniques and extensive knowledge of recipes, but most importantly includes very personable and welcoming personalities. All guests connect with these guys. Don’t be shocked when Swervin’ Ervin and Ben Franklin become your new best friends! Struggling to plan the perfect Belize vacation itinerary? There’s no need to when you select one of our Belize all-inclusive packages which include several adventure tours to ensure that you experience the very best of Belize. Here’s a typical week on the island: Snorkel along the 170-mile long barrier reef on Monday, zip-line and cave tube on Tuesday, unwind with a massage on Wednesday, test your luck by fishing on Thursday, and explore the ancient Mayan Ruin of Xunantunich on Friday. Not interested in any of the tours? We’ve got that covered too with the all-inclusive Just Chillin’ Package which allows you to spend more time relaxing. We got an all inclusive, 3 snorkels and 2 inland tours. Again, all private. Everybody works for Coco Plum and the quality of service continues even after you leave the island. – TripAdvisor Review By: Caico E.
Grab a beach towel and lay out on one of the docks or take your sunglasses, a book and a little cooler filled with drinks to one of our secluded beach beds where you can sit back and take in the wonders of each sunny corner of Coco Plum Island. The complimentary use of kayaks, paddle boards and even a small hobie cat will have you steering your way out onto the Caribbean Sea to take in the magnificent views…views that will highlight your memories of island living and make you want to come back year after year! We loved the quiet and calm atmosphere and the flexibility to join in the tours or just relax on the beach or in our room. We definitely recommend it for those wanting a low-key, secluded, romantic get-away and look forward to spending some time there again, during lobster season next time! 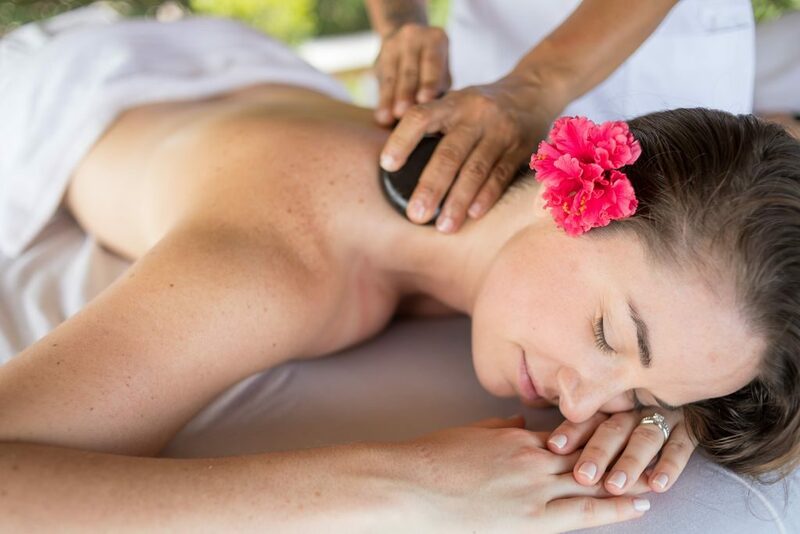 – TripAdvisor Review By: Shannon L.
From the serene and cozy Serenity Spa nestled in the mangroves on the quiet and most secluded end of the island, you can enjoy a therapeutic massage, facial, or a variety of other spa treatments. Imagine a peaceful room with rays of the Caribbean sun gently caressing your body through clear glass windows offering stunning views of tropical waters. 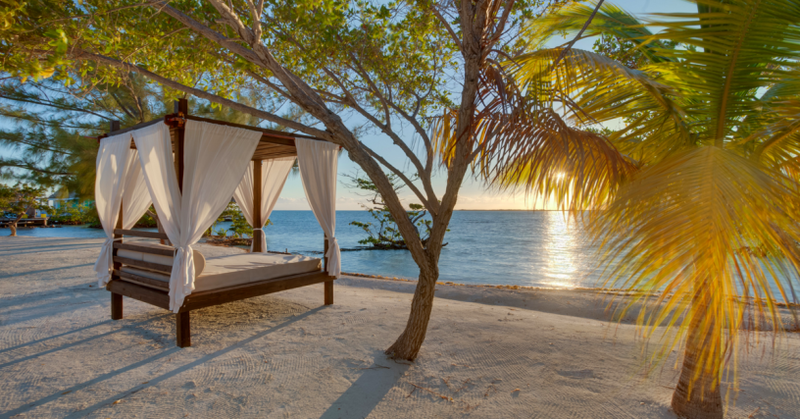 Watch the gliding frigate birds soar over the waters while you and your partner receive a relaxed and peaceful massage. Yes, the Serenity Spa is just one of the additional experiences you can add to your stay to make it that much more magical. And don’t forget to try out the new outdoor yoga deck overlooking the Maya Mountains. What better way to start your day than in a picturesque covered deck over the Caribbean Sea taking in a breath of cool fresh air? I’d also highly recommend getting a massage while you’re there! The spa is a tucked away oasis with floor to ceiling windows jutting out over the water. The island is perfect for people who want to relax with a book (we did plenty of that!) or those who enjoy some adventure. It was the perfect blend. – TripAdvisor Review By: Alexandra W.
So, by now you’re thinking – this sounds perfect. What’s the catch? How do I get there? Well, you are in luck! Traveling to Belize is easier than ever with several nonstop flights from the United States and Canada. Did you know that we take care of everything once you have arrived in Belize City (airport code: BZE), home of the only international airport in Belize? Simply book your international airfare to Belize then send your flight details to the Reservation Team and your transfer to the island will be flawlessly arranged. Once you have arrived it’s a 20 minutes flight on a puddle jumper to Dangriga Town. 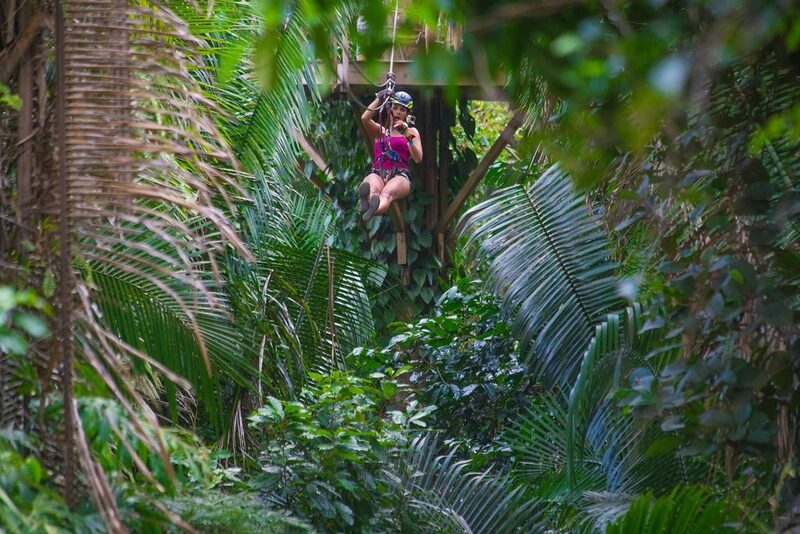 During this time you will get an eagle’s view of the mix between the fifty shades of deep blue Caribbean Sea and the dense green jungle along the Belize’s coast. Before you know it, you will be on the ground at the Dangriga airport where you will be greeted by a friendly staff member who will transport you to the dock for your short 30 minute boat ride on the wavy waters of the glistening Caribbean Sea. Look up, you have arrived! You are greeted with open arms, your soothing towel and a refreshing mosquito bite cocktail. Don’t stress about the transfers between BZE and Dangriga or the boat ride, Coco Plum makes everything simple. The office will send you information about how to proceed through the airport etc… Enjoy the short flight, you get to see how beautiful the country is! – TripAdvisor Review By: Kristin S.
Still waiting for the catch? Well, don’t just take it from us – take it from previous guests, folks just like yourself who wrote all about their experiences on TripAdvisor. 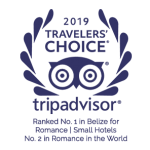 In fact, it is because of these amazing guest reviews that Coco Plum Island Resort is named #1 hotel in Belize and a top ranking hotel in Central America in the categories of the Best Small Hotel, Best Hotel for Romance, and Best Hotel for Service. 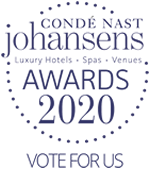 Coco Plum Island also received the unique accolade of being awarded as one of the Top Small Hotels in the entire WORLD! So, what are you waiting for? Think no more, this little piece of paradise is the perfect antidote for anything that ails you – a tropical wonderland with a pristine and oh-so private adults-only shimmering beach coupled with over-the-top personalized service. Everything you need is at your fingertips and there’s no need to spend precious vacation time waiting in long food lines or fighting for a nice spot on a crowded beach. Escape today by contacting us at contact@cocoplumcay.com or calling 1-800-763-7360 for your hassle-free vacation!